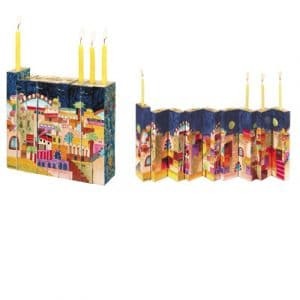 Make your Hanukkah funkier and more colorful this year. 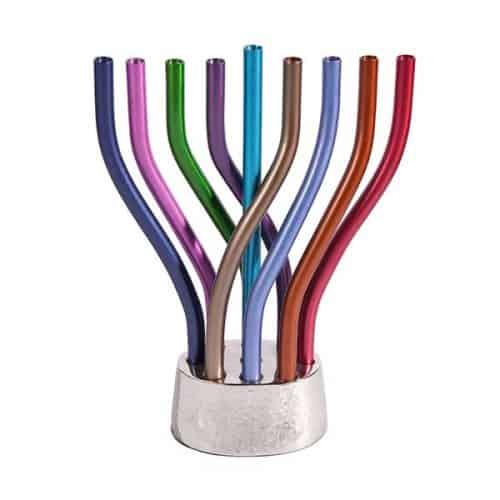 This pretty menorah, made from anodized aluminum, has such an exclusive design! Its nine branches are all in vibrant colors, whereas the base is shiny silver. 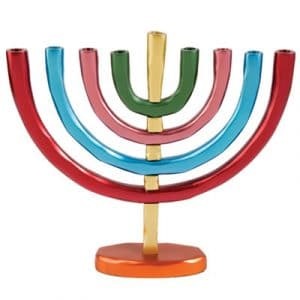 Make your Hanukkah funkier and more colorful this year. 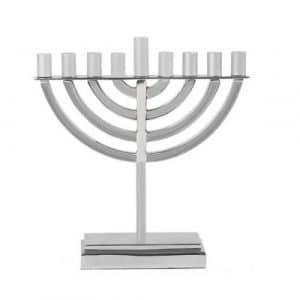 This pretty menorah, made from anodized aluminum, has such an exclusive design! 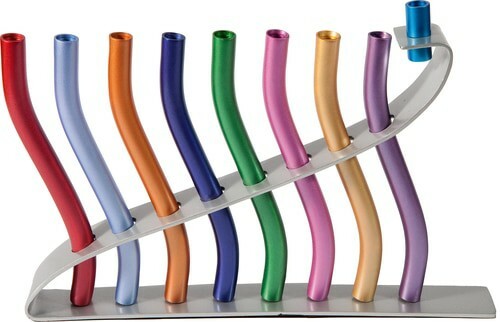 Its nine branches are all in vibrant colors, whereas the base is shiny silver. 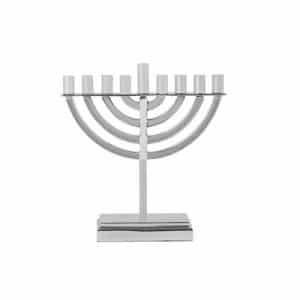 The ninth candle holder or the Shamash is the focal point of this menorah, designed to be the shortest branch and placed a level higher than the rest of the eight branches. 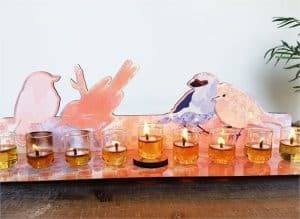 Place an order for this beautiful piece today!